As mentioned previously, I shot thru the Parkes Elvis Festival without taking a single photo or video (should have installed wig-cam) , but fortunately there are some great ones out there (still looking for video footage if anyone's got some though). Someone who I feel managed to capture all the flavours of the fest is Jen Li who has done a stunning job making her photos available for all to see. So just quickly I'll pop up some slideshows of them here, but to see them in all their full glory, just click thru to her flickr pages. Just a quicky here to everyone who bought the CD during the festival. Depending on your viewpoint you may be beeping lucky enough or beeping unlucky enough to have one of a few rogue copies that slipped out which didn't have the final edit of The Telemarketer Song on. You'll know from when I perform this live that I make like I'm about to swear in a couple of places but actually don't. However to keep the song flowing during the recording I was asked to just go for it in the places which would then be beeped over for the final edit. So...now you know where I'm going with this and I'm sure if you've got one, you will have beeping realised by now! 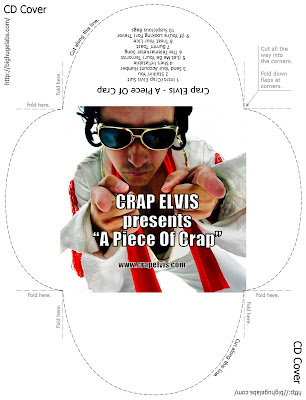 If you have one of the dodgy copies and just in case you're offended by a word you're likely to hear most nights on the tv or down the pub...or you're a Crap Elvis purist and simply want the finished product, email me at crapelvis@gmail.com with the details of where and when you bought it and I'll sort you out a new copy. For those who wanted it in glorious colour rather than the cheap and nasty (who could expect more!) version supplied, simply click on it and print or download. Stunning...kinda! 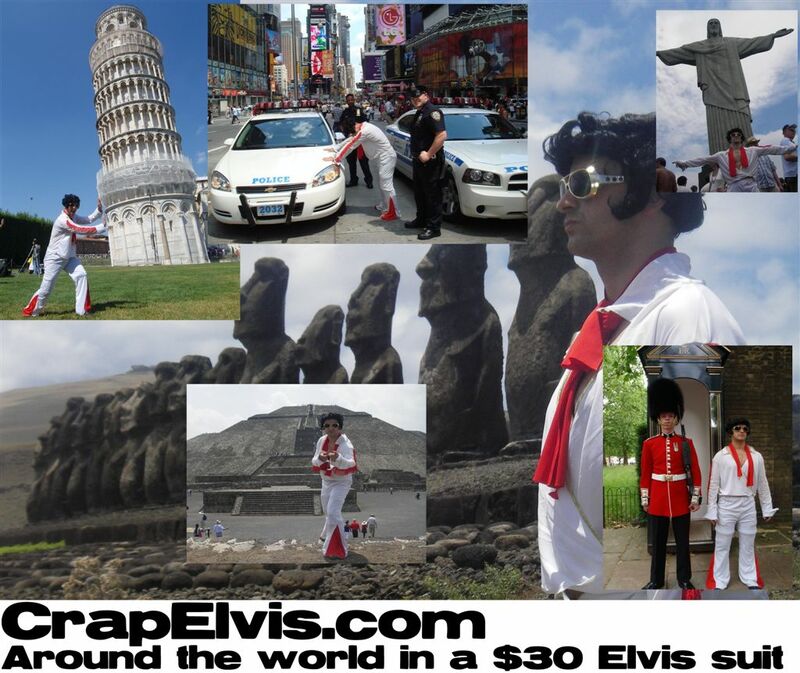 Back in Sydney (then Perth tmrw) after another insane Parkes Elvis Festival. 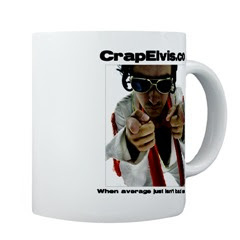 Think I managed 13 Crap Elvis shows in 3 days ranging from audiences of 10 to 400 on the street, various stage venues, and the Elvis Express train. That's one wig u don't want to get near to at the mo! 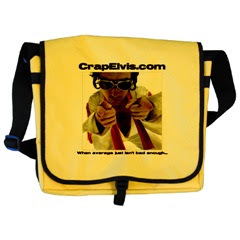 Also sold out the new CD (A Piece Of Crap). Thanks to all the locals and visitors who voted for me and put me back on the main stage as a top 3 finalist. Incredibly surreal to have the worst up there with the best! 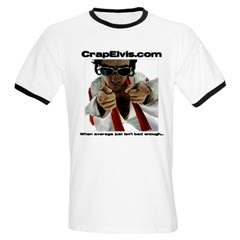 Crap Elvis CD. It's "A Piece Of Crap". Parkes Elvis Festival 2010 - I'm back baby!